Even though last year was seen as the big one for training, with the September deadline for Driver CPC qualification focussing operator and driver minds, responsible operators realise that developing staff is good for business and not something to be treated as a necessary evil. 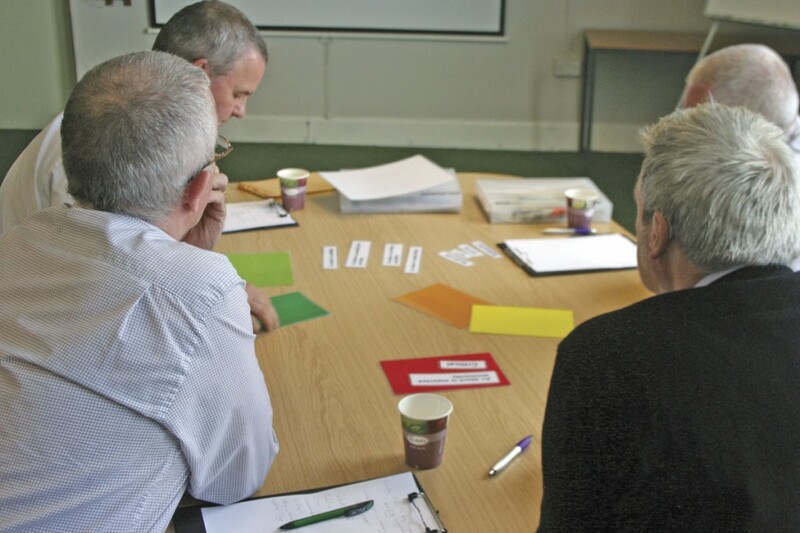 Are your staff getting the most out of training courses? One of the main problems with the introduction of the Driver CPC was the reluctance to carry out the training, with some even believing it would simply go away or at the least, have the deadline extended. Derek Broomfield from Novadata said there was a last minute rush partly caused by this mindset. He now says demand for it has subsided dramatically. He believes a better alternative to rushing drivers through the whole 35 hours periodic training in one go at the last minute would be to have one day’s training in it a year spread across the five years, rather than all at once. Reluctance to take up training is still a problem, according to Derek. He notes that when trainees start one of the company’s courses, they tend to be lacking some enthusiasm, but once they get into it, they begin to enjoy it. Their favourite is often the First Aid training, he claims, as it involves a ‘real human element’ in terms of saving lives. The company has recently introduced an all new Health and Safety Driver and Manager Awareness course. This is offered both as part of its Driver CPC JAUPT approved periodic training and as a new element in its range of transport management training courses. Ensuring people have the right mindset when it comes to training is one issue Alec Horner, founder of training provider Minimise your Risk, has to deal with on a day to day basis. Like Derek Broomfield above, he finds one of the main challenges is getting people to understand that Driver CPC is an ongoing process, rather than a ‘start/stop’ thing, carried out in one big chunk at the last minute to meet the deadline. He claims the best approach is for everyone to do one course a year. For the second round of Driver CPC he believes it is going to be a challenge for all trainers to find something that has not already been said before, saying the syllabus could well turn out to be the same. He also believes a lot of smaller operations would benefit from joining a consortium, as it would give a bigger selection of courses to offer. An area Alec believes more training could be focused on is compliance; what operators need to know to stay on the right side of the law. One of the major issues John Pepperell from Phoenix Training says he has to look out for is to ensure learners get what they are paying for. He has found a large proportion of them believe the training they have had with other companies has been a ‘total waste of time’. He says this is because many companies suddenly started up at the announcement that Driver CPC would become mandatory, taking advantage of the inevitable rise in demand brought about by the legislation. According to John, what separates his company from the others is that they are ‘not new kids on the block’. His business has been training for over 30 years and started by running programmes that only paid if ‘positive outcomes’ were achieved. This meant he had to deliver training that actually worked in order for his operation to survive and he claims the service he now provides is based on this good quality. The same cannot be said for some of the businesses that sprung up on the back of Driver CPC, he believes. Another problem John highlighted was drivers who were unfamiliar with the classroom setting; many had not been in such an environment for over 40 years. An area John believes the industry needs more training in is the legislation concerning working time regulations. It is an area he claims is not policed heavily unless there is a fatality, in which case it would be too late. Compliance Team Manager at Tachodisc, Angela Eardley, said one of the issues with Driver CPC is that stints of seven hours are too long, questioning whether trainees absorb the course content properly. She also queries whether they are utilising the training effectively. She claims the message has to be got out to operators that they are paying for it so they need to ensure they are benefiting from it. She highlights than many haulage companies are using Driver CPC as induction material, something she has not noticed so much of in the bus and coach market. Angela’s message on Driver CPC is that it is not going away. She is interested to know what subjects operators and drivers think are not available to them and always keen to understand what training is required. In particular, she is interested in what operators want from the second phase. In terms of knowledge gaps in the industry, she has noticed there is a lot of information needed in terms of legislation affecting the sector. In her experience, drivers seem more knowledgeable about the legal side than some managers. Another challenge concerning Driver CPC, according to Director of Wright Training Services, Pauline Hayter, is to ensure drivers are treated like professionals at all times. She has found some of her trainees do not feel they have been treated this way by other training providers. It is something she and her company take particularly seriously. Another recent issue she has noticed is a lack of investment in training, particularly in management courses. She asserts things are improving now though. She also highlighted the age old problem of a shortage of young people being trained in the industry. It is important to remember there is more to learn than what the mandatory CPC courses teach. Iain Macbrier of QV Associates claims that such an intense focus on gaining this qualification has distracted people from what they ‘really need to know’. His company offers route and timetable planning training and courses on bus and crew scheduling. One tendency Iain has noticed is putting people in the industry through ‘very general’ middle management courses that are not specifically bus and coach targeted. He believes the industry has a number of distinguishing peculiarities that make tailored training preferable. Darren Kendrew of EYMS’s training division highlighted the advantages of training with an operator, claiming trainees respond better to instructors that bring their own real world experiences to bear during the education process. The company’s academy celebrated its fifth anniversary last year. 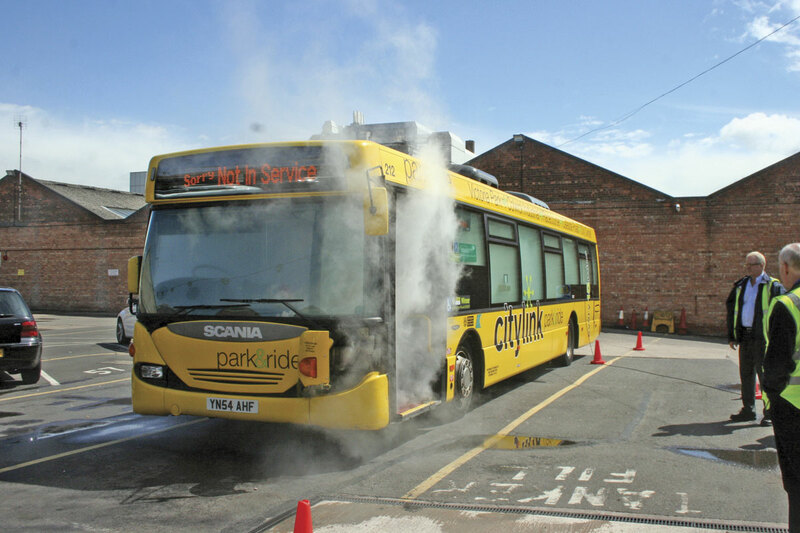 Another operator that opens its courses up to third parties is Nottingham City Transport (NCT). The company provides JAUPT approved Driver CPC courses and other training offerings. 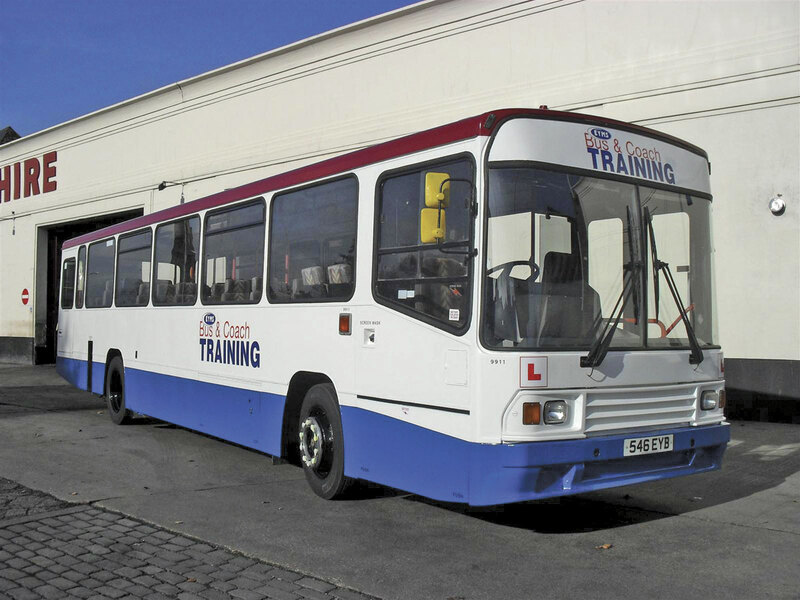 Reading Buses also has a training division, which has added another training bus recently to cope with increasing demand. In addition to those mentioned above, there are a number of other training providers available. One is Specialist Training and Consultancy Services, providing a wide array of courses from Driver CPC to health and safety and first aid. Not only does Sibbald Training provide CPC courses, it also has a range of general courses, from emergency first aid to fire awareness training. The company has a wide customer base across multiple sectors. Tangerine Transport Solutions’ staff all have a PCV background. It provides its training to a number of high profile operators across the UK. Having provided training since 1982, Ward International can assist customers who require a PSV O licence. It also offers Driver CPC Periodic Training courses. K Training has over 17 years experience in providing CPC training. It specialises in the Smith System, which focuses on five basic principles to ensure safe and efficient driving. According to the company’s MD, Henry Laferla, the system is ‘fairly well known amongst those that use it’. 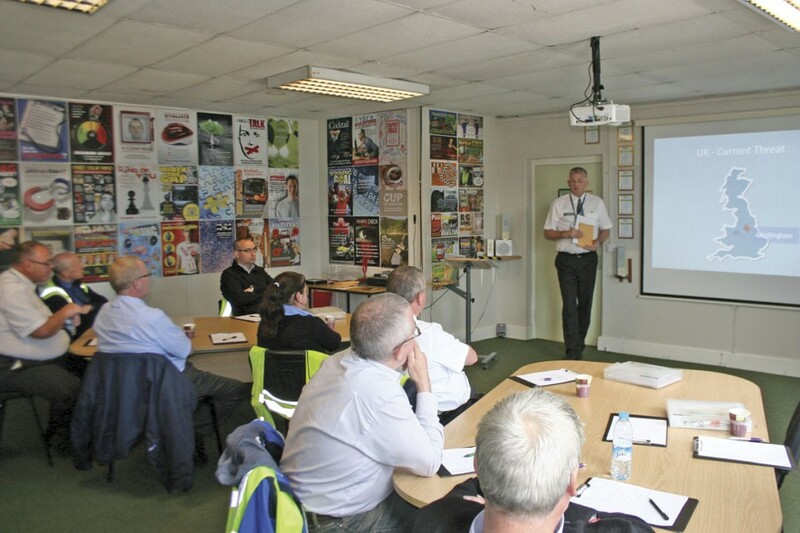 A major focus of CRH Transport Training is Driver CPC. It has formulated a programme of monthly CPC courses at its head offices in Birmingham. The company is also able to offer training at customer premises, which can be bespoke to meet specific needs. L&T Transport can tailor its driver training to individual needs, operating seven days a week and into the evenings. The company has its own fleet of training vehicles. Training is just a part of what Lloyd Morgan Group provides, with its Driver CPC courses proving popular. The business has a wide array of topics to choose from in these courses, with the emphasis on making them as interactive as possible. With so many companies to choose from for training, it can be a major task to choose which company and which courses are most suited. Nationwide Transport Training works with training organisations to source and deliver accredited courses for Driver CPC for its clients. The general consensus among those we spoke to was that putting the additional effort into arranging your training and deciding what you want to achieve for your money will pay dividends. There are many ways you can approach training, but what you and your staff get out of it can be a lot greater if you first identify your deficiencies and base your programme on educating to eradicate them.